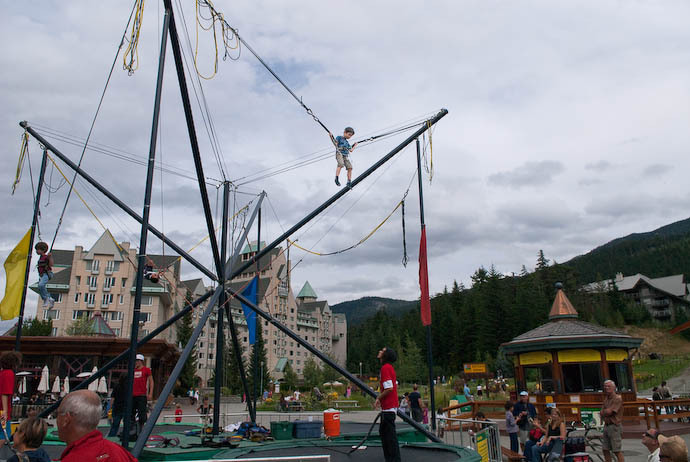 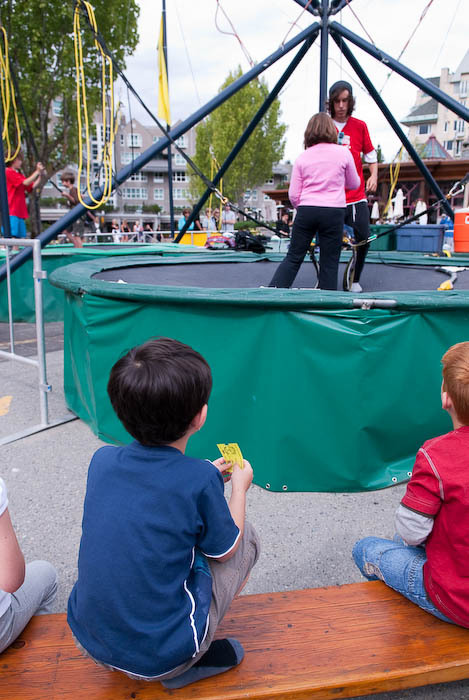 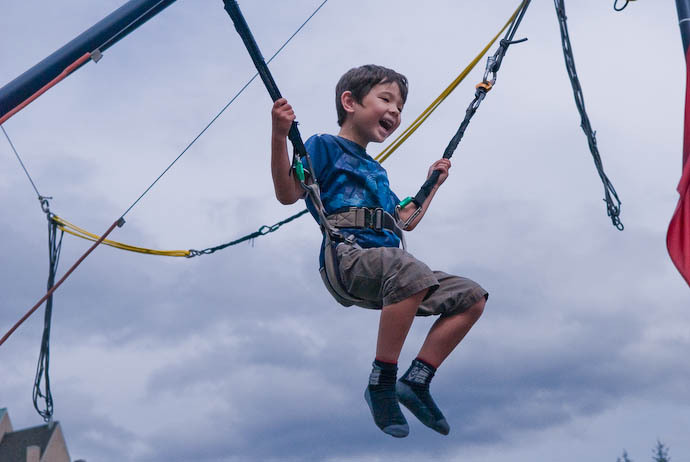 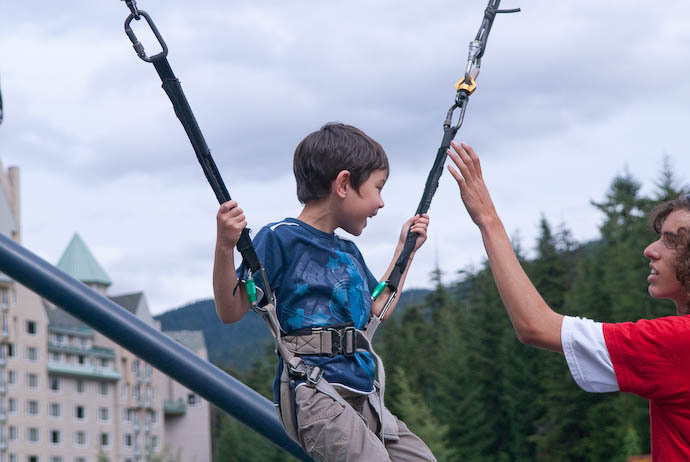 One goes to Whistler (in B.C., Canada) for the nature and outdoor sports like bike riding, but kids just want to play, so we indulged Anthony with some of the kid activities the village offered. 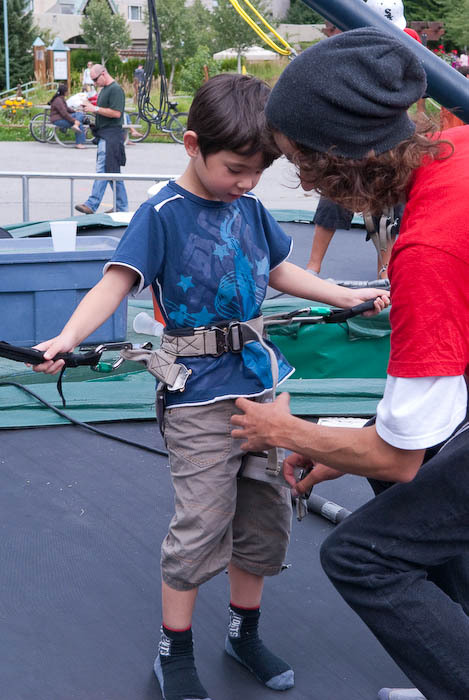 Here, five-year-old Anthony tries a “bungee trampoline” kind of thing. 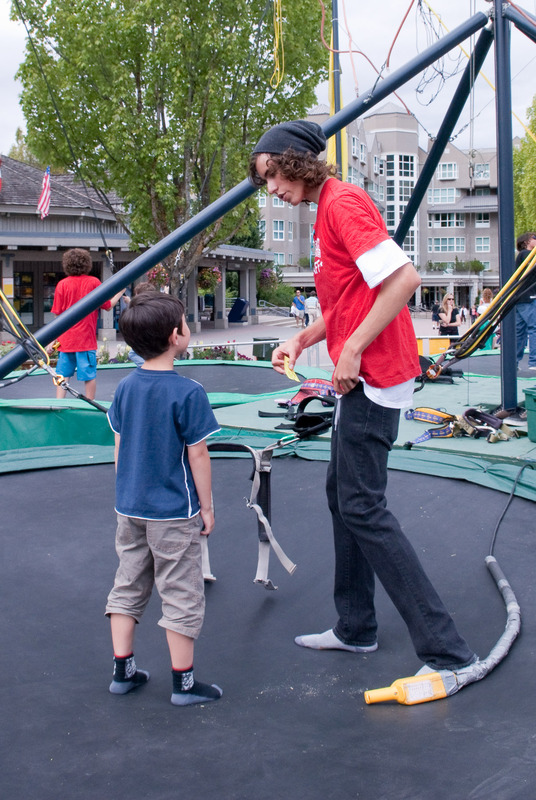 The quality of the photos is horrid, but I want to preserve the memory, so they're here nevertheless.